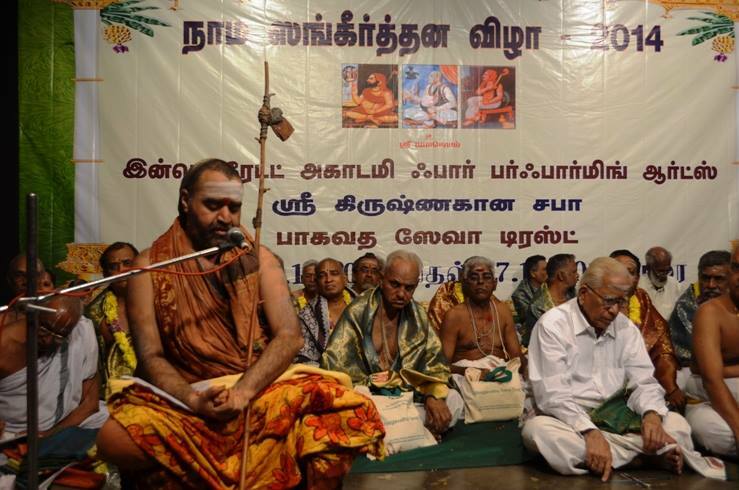 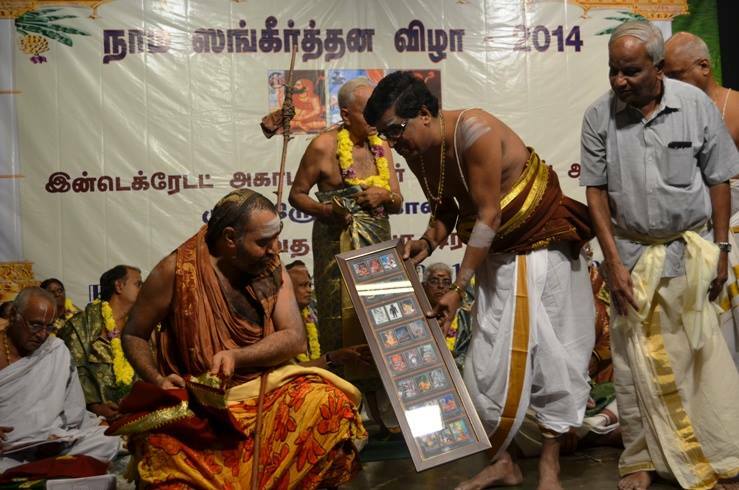 Nama Sankeertana Festival - 2014 was held at Krishna Gana Sabha Chennai in the benign presence of His Holiness Pujyashri Shankara Vijayendra Saraswathi Shankaracharya Swamiji. 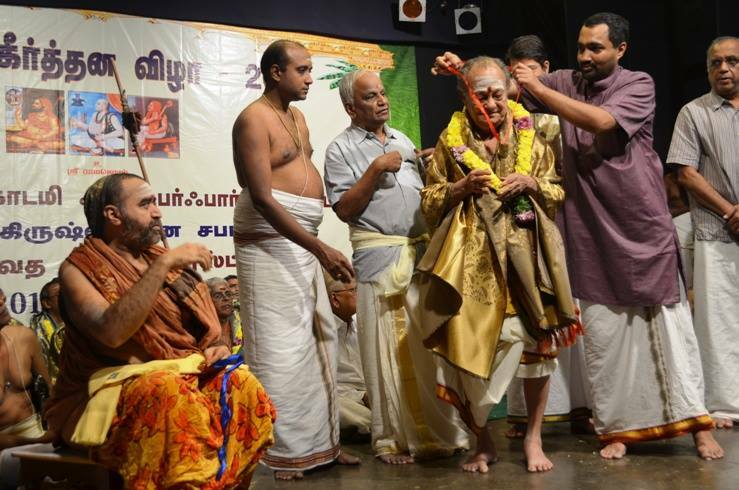 His Holiness blessed the audience with Anugraha Bhashanam. 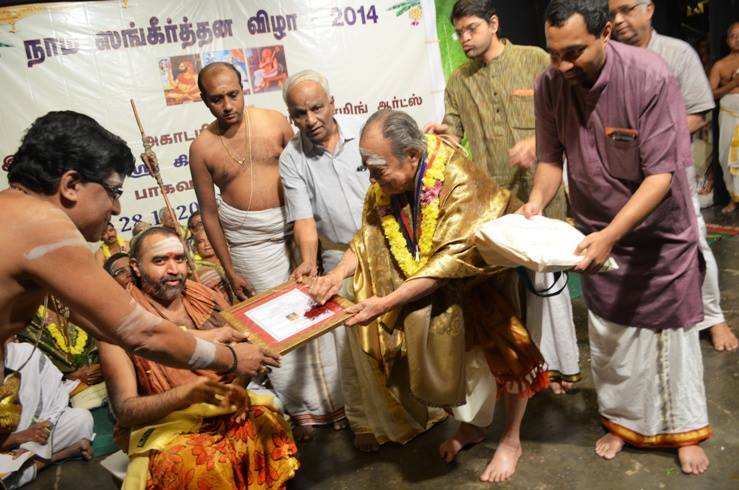 Senior Bhagvatas were honoured and received the blessings of His Holiness.